Wanna get some wire jewelry ideas? Look here! 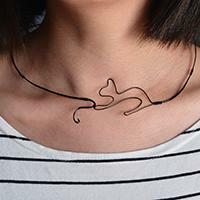 I believe today’s Pandahall tutorial o how to make cute wire wrapping cat necklace with copper wire is a good choice for you! Have you ever heard dreamcather? 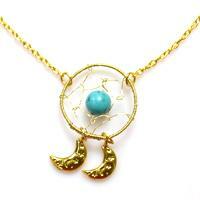 Today’s tutorial is totally about how to make a dreamcather necklace step by step. 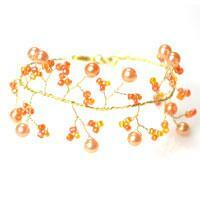 Autumn is coming, are you looking for branch jewelry? 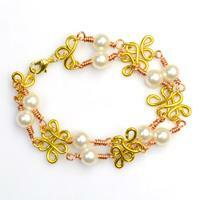 Today, this tutorial is entirely about how to make tree branch wire bracelets with beads. 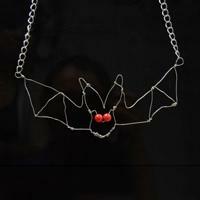 Today I will teach you how to make a copper wire animal pendent necklace with chains and beads. Now I want to show you how to make a Bohemia copper wire pendant with turquoise beads in this instruction, don’t miss it and follow with me. 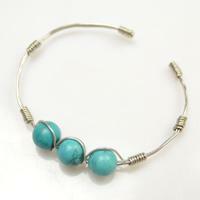 A simple way to make a copper wire bracelet with turquoise beads is presented to you now. You can have a try and make one for yourself. 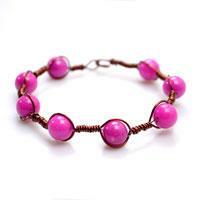 Today I’m going to show you a tutorial how to make wire bracelets with beads. I promise that you will be surprised by your final work! 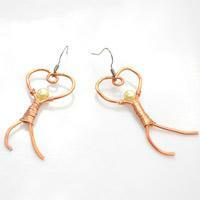 This tutorial is to show people another way of making earrings with wire step by step. 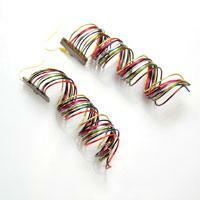 Even beginners can learn to make this coiled wire jewelry instantly in 15 minutes. In this tuttorial, you will learn how to make a rose cuff bracelet with wires, the main work is to weave the wires and add the aluminium roses. 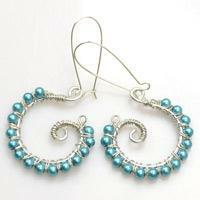 Learn how to make those chic sky-blue earrings step by step with wire and beads. The earring tutorial only requires basic wire wrapping and coiling technique. 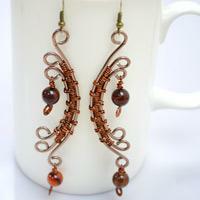 This tutorial is going to teach beginners a simple wire wrapping earring pattern. It is a very fun pattern that displays a man raising arms to form heart shape. 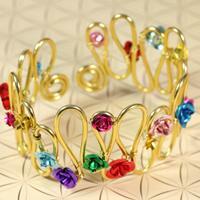 Wondered a rapid and easy way to make a wire bracelet? Try this wire wrapped bracelet tutorial that uses the coiling technique merely. The final pattern is really cool and stylish! 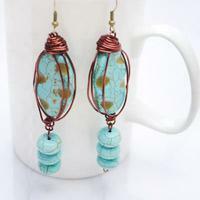 The vintage wire earring design is easy to make; in this handmade wire earring tutorial, we will teach you how to make wire wrapped earrings with copper wire and turquoise beads. On some special days, we want to send special gifts to someone. 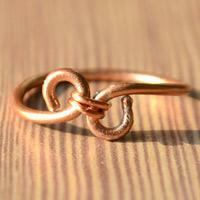 And this tutorial will tell you to make a wire ring. You can send to your boyfriend or girlfriend as a gift. 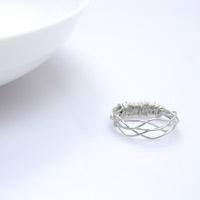 A new addition to wire ring category! 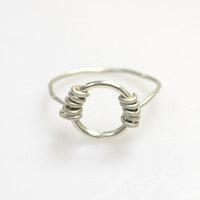 Details of weaving wires are completely shown in this 5-strand woven wire ring tutorial. This wire wrapped earrings tutorial will show you how to wire wrap a long dangly half-moon shaped earrings. 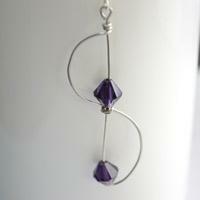 Click to get further information of the earring tutorial. 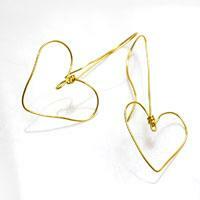 You may have seen many wire wrapped earrings. 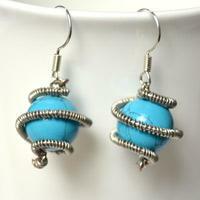 But the wire wrapped turquoise bead earrings we are going to make are different.